Leading the Way in Affordable, Trouble-free, High-Performance Vehicle Washing Solutions! 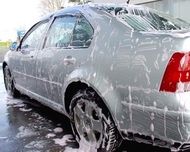 As the Mid-Adlantic region's exclusive dealer for today's leading manufacturers of automated vehicle wash systems, we offer the right options to meet your specific application objectives. 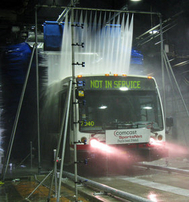 Whether you are an automotive dealer, c-store or petroleum operator, commercial bus/truck lines company, government municipality, or car wash operator we have the automated cleaning equipment package that's right for you. We take the time to understand your business and determine your particular needs and the right system for you. We will meet with you to perform a Customer Needs Analysis (CNA). And, through this thorough site examination, current operation analysis and short- and long-term objectives inquiry, we will develop and deliver an affordable cleaning solutions package that is customized for YOU!